Hi everyone!! What a great morning.... however, I just can't seem to get awake. I swear I could crawl back under the covers! However, that's not in the plan for the day. Actually... not much is! Ahhhh... a day of doing nothing and FUN things at the same time. I did "Google" May Day... it's a spring holiday...originated from other countries. So know I know! 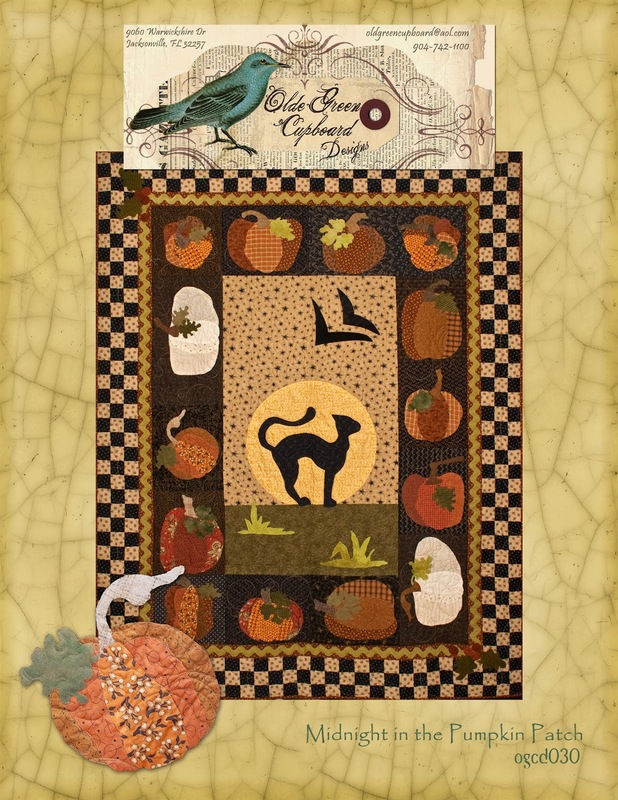 Just a few more days until Spring Quilt Market - in Kansas City!! I love that market...it's so awesome and so is the city. Spring market is so great...so many new designers and new ideas to see ! It makes me so "happy" and motivated that I'm on overload when I come home! We are in the process of finishing up this pattern so it can be sold on our website!! Here is something I think is so cool.... old fashioned bread boxes...especially the plaid ones. Isn't this adorable how they've taken this cute green one and planted herbs in it? 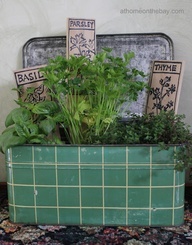 You possibly could even set the little pots of herbs inside the tin box and not have to worry about replanting. I just think it's wonderful!! There is just something about "galvanized" that I really like! Strange huh? 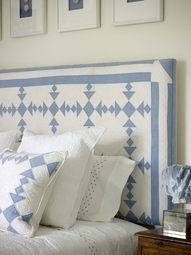 Look how they have taken this beautiful blue and white quilt and made it into a headboard. How perfect is this... the little pillow to match on the bed is perfect. Then they added the little blue and white pictures above the headboard... perfect!! 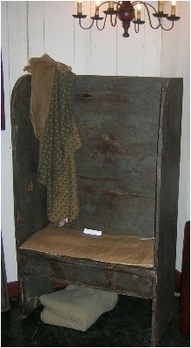 This is a settle bench... here's the story about them... .at least what I've heard. They are called the 'settle bench' because when there were differences in the family between two people...they had to set on the bench and discuss everything until it was "settled". Also... the settle bench was used with the Amish (this is all "hear say" so I'm not sure if it's true or not...) in courting. If a young girl in the family was being courted by a boy...they would come to the house. They would set in the settle bench while the parents talked to the boy... usually the bench was by a window. During the conversation if the father did not care for the young boy... he would open the window for the chilly breeze to enter... over the tops of their shoulders... thus giving the daughter the "sign" - of the "GIVING HIM THE COLD SHOULDER" - we don't like him! Now... I have NOT researched this story for it's accuracy... but I think it's pretty - darn - clever if it is! If you search online for ways to remove oil stains, you'll come across all kinds of things. One of the most common suggestions I've come across from "experts" is to use a brick to grind cat litter into the concrete. 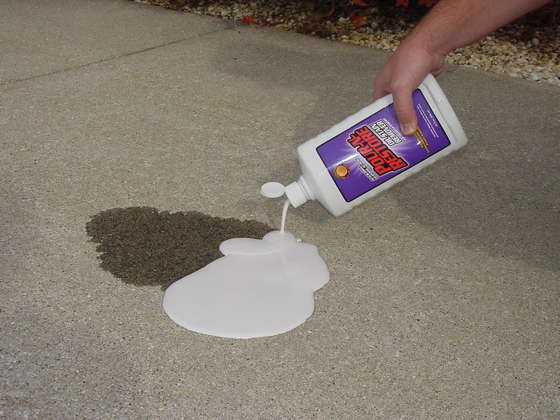 This does absorb wet oil on the top of the concrete, but it doesn't really get rid of the stain. The best solution is cool product called Pour-N-Restore. 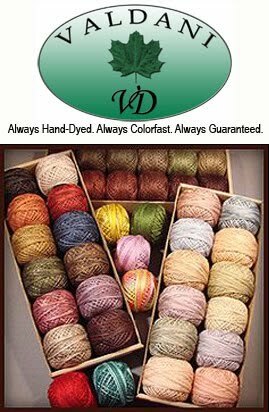 It goes on as a liquid and dries into a powder. The company's website claims that the product soaks into the concrete and pulls up embedded oil stains, capturing them in the dry powder. Whatever it does, it works! I've used it several times on my driveway and I can't even tell where the stains were. Another cool thing about this product is that you're not rinsing oily slime off the driveway into the grass or down a drain. Pour-N-Restore holds the oil in the powder, so you just sweep it all up. The back of the label also states that it's biodegradable and phosphate-free. Ok ... that's all for the day... 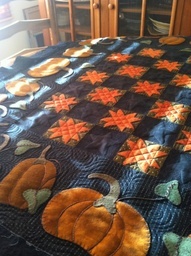 I'm movin' on to my daily chores and some sewing!! Yippee!!! Hope you have a great day and ... HAVE SOME FUN! !